Parents whose child has suffered a birth injury because of mismanagement or misdiagnosis of a placental abruption want to know how much money they and their child might get for the awful injuries the child has suffered. There is no formula or calculation that can give you a ready-made answer. What we look at to value these cases is trying to figure out what we can "put on the board." The board is the amount of money we can ask a jury to award in the case. Stated differently, what is the maximum amount of money a jury could award in your placental abruption or other birth injury case? The answer to this question depends on the sum of the economic damages. To figure this out, we hire medical experts to talk about what the child's injuries and limitations will be. Then, we bring aboard both a life care planner and an economist who will are prepared to tell the doctor's lawyers or the jury just how much money you and your child will need to pay - and have already paid -- for that care over a lifetime. These numbers plus the pain and suffering damages are how these experts arrive at this calculation. So there actually is a formula. The challenge is figuring out how much money goes into the formula to make the correct calculation. There is one other piece to the formula. There is the chance that a jury could award less or nothing at all because they do not believe the doctors and nurses were negligent. So you have to discount the settlement value of the case but the relative possibility of a less than optimal outcome. Though prior settlements and verdicts cannot be the sole tool in determining the settlement value your case, they are one weapon of many to help you tighten the range of how much money you might get. 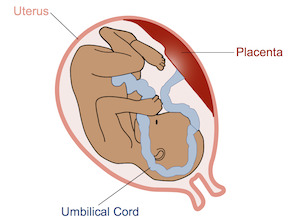 Below are sample placental abruption birth injury settlements and verdicts. 2017, California: $4,250,000 Settlement. Mother is admitted to the hospital or labor and delivery. Plaintiff is experiencing pain and bleeding consistent with, among other things, a placental abruption. After some period, an emergency cesarean section is performed. Plaintiffs filed a lawsuit alleging the doctors failing to timely diagnose and treat the placental abruption. They contend that the child's hypoxic-ischemic encephalopathy, cerebral palsy, developmental delay and kidney damage is the result of the failure to diagnose the placental abruption and perform a C-section before the oxygen loss caused the child permanent brain damage. 2017, Pennsylvania: $14,448,000 Verdict. Plaintiff goes to defendant hospital to deliver her son. Defendants use Pitocin to begin her labor, despite her already being dilated. This violates the hospital protocol because of the closeness of contractions. Before the delivery, the baby exhibits signs of fetal distress but there is a delay in delivery.The oxygen lost during that delay changes the course of the child's life. The boy is unable to care for himself and is unable to walk, sit up, or talk. It is just an unbelievable tragedy no matter how you slice it. The jury concludes the doctor and the hospital were responsible for the tragedy and awards $14,448,000. 2016, Pennsylvania: $1,800,000 Settlement. A mother arrives at the hospital to have her labor induced, and she is started on Pitocin. Pitocin doses are increased incrementally throughout the morning. After a few hours she requests an epidural, but her membranes rupture. The Pitocin is stopped, but once the fetal heart tones become reassuring again, it is restarted. Six hours after her membranes ruptured, her labor has not progressed at all. The Pitocin is continued and changes are noted after. After two hours of pushing, decreased variability is discovered in the fetus, and a C-section becomes necessary. At birth, her infant has a high fever and is breathing rapidly. As a result of the delayed delivery, the baby suffers neurological injuries and global developmental delays. The mother files the claim against the hospital, alleging negligence in failing to timely perform the C-section and in failing to realize that due to the Pitocin, the mother's uterus was hyperstimulated. The defendants deny negligence but settle the claim for $1,800,000. 2015, New York:$52,681,017 Verdict. During labor, defendant doctors administer Pitocin. After they administer the drug, they fail to monitor the fetal heart rate and fail to respond to symptoms developing in the mother. As a result, the newborn suffers brain damage, cerebral palsy, blindness, global developmental delays, and motor delays. She is unable to live independently. The mother brings a lawsuit for the child and awards $52,681,017. 2015, Florida:$18,270,052 Verdict. A mother is giving birth to her son at the hospital when her labor is mismanaged by the doctor. The woman is given excessive doses of Pitocin, leading to a brain injury and cerebral palsy in the infant. The plaintiff is awarded $18,270,052. 2015, Illinois:$5,250,000 Settlement. A mother goes to the hospital to give birth to her son. She is given Pitocin, but the hospital fails to detect signs of fetal distress. As a result, her infant is born via an emergency C-section after he suffers from a lack of oxygen and brain damage. The boy's parents file a claim on his behalf, which settles for $5,250,000. 2015, New York:$593,973 Settlement. An infant is born with nerve damage in her spine and Erb's palsy of her right shoulder when during her birth, her mother is administered Pitocin when it is not indicated. Additionally, the doctors delay the performance of a C-section. The parties settle the case for $593,973. 2014, Kentucky:$18,270,052 Verdict. A mother goes to defendant hospital to have her baby. While there, she is given excessive doses of Pitocin, resulting in uterine tachysystole (six contractions in ten minutes). The nurses fail to report the fetal heart abnormalities to her OB/GYN, resulting in delayed medical intervention that would have prevented fetal distress. As a result of the excessive amount of Pitocin that was administered, the infant suffers a permanent brain injury resulting in cerebral palsy due to fetal distress. 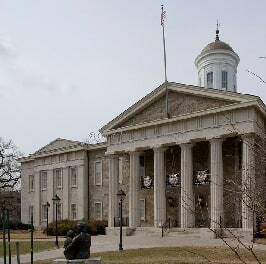 A jury finds the hospital to be 100% at fault, and awards the woman $18,270,052.37. 2014, New York:$2,700,000 Settlement. A 19-year-old mother is in labor. Pitocin is initiated, however the doctors fail to recognize the signs of fetal distress and therefore fail to stop the Pitocin. As a result, the child suffers a lack of oxygen to his brain and neurological injuries. The child later dies at just six years old. The plaintiff argues that the Pitocin should have been stopped during the second stage of labor due to excessive uterine activity. The case settles, including a wrongful death claim, before trial for $2,700,000. 2013, Pennsylvania:$55,000,000 Verdict. Plaintiff is having a slow labor progress despite the administration of Pitocin. Plaintiff argues that the large size of her baby poses a contraindication to a continued administration of Pitocin. 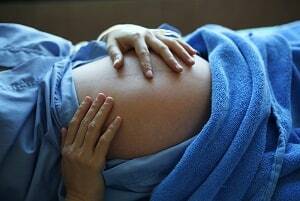 Fetal monitoring shows concerning signs of fetal distress, but the labor is allowed to continue. The baby is born limp, blue, and is not breathing. He suffers a lack of oxygen prior to birth, causing cerebral palsy. Plaintiff argues a series of errors, including the failure to recognize fetal hypoxia and the failure to discontinue Pitocin when signs of strong contractions became apparent. A jury finds the OB/GYN was 50% negligent and the hospital was 50% negligent. They award the plaintiff $55,000,000. 2013, Oklahoma: $20,000 Settlement. Plaintiff receives prenatal and delivery services from an OB/GYN at defendant office. A week before delivery, an ultrasound is done that estimates her fetus to weigh seven pounds and four ounces. While inducing delivery with Pitocin, the infant experiences shoulder dystocia. The doctors use force to combat this, which causes severe brachial plexus. The infant is left with permanent left shoulder and arm injuries requiring two surgeries. The plaintiff claims that the defendants were negligent in misinforming the doctors of the size of the infant and by improperly proceeding with a vaginal delivery. Additionally, they argue that the defendants should have never used Pitocin to induce the woman's delivery. The parties settled for $20,000. This case is certainly the white elephant of these verdicts. It is hard to know what went wrong for plaintiffs in this case but obviously there must have been some extremely significant flaws in their case because this reads like a multi-million dollar case if the malpractice lawyers could make out a liability case. 2012, Illinois:$12,000,000 Settlement. A woman is admitted to the hospital for labor and delivery. Defendant OB/GYN orders Pitocin to induce labor, but fails to perform a Cesarean section when the baby exhibits signs of distress. The woman brings a complaint against the hospital, alleging the failure to monitor her labor, failure to recognize the fetus was in distress, and negligent administration of Pitocin during labor. The parties settle the case for $12,000,000. 2012, Ohio:$8,583,000 Verdict. Defendants administer Pitocin to a mother to induce her labor. This creates a stressful utero environment, causing significant stress to the infant. The infant is delivered in a floppy state and fails to receive adequate ventilation and oxygen immediately after her birth. She suffers a loss of oxygen, sequelae of right central seizure activity due to cerebral palsy, spastic quadriplegia, cortical visual impairment, and respiratory distress syndrome. The defendants dispute the claim denying the improper administration of Pitocin. A jury awards the plaintiff $8,583,000. If your child has suffered a birth injury and you suspect a placental abruption was mismanaged or misdiagnosed before or during delivery, call our birth injury lawyers and let's talk about your options. We have the experience and resources to help you both get the compensation you deserve. Call Miller & Zois today and speak to a birth injury medical malpractice attorney at 800-553-8082 or get an online case evaluation. You see Pitocin in a common thread in many of these placental abruption malpractice cases. Too often doctors and nurses are continuing Pitocin look beyond the time it is warranted, or hospital protocols allow. These are sample settlements and verdicts in Pitocin related birth injury cases that often involve a placental abruption.